The digital innovators of the future study at Noroff. You will be hands-on from your very first day. The business sector will be following your studies from your very first day. We have put ourselves in the shoes of your future employer and came up with a wish list. We then produced the study plan. Noroff is a lifestyle. You will change jobs several times during your lifetime, but your education will remain part of your identity. This is why we believe in the formation of people, education through hands-on training and want to make you ready to take control. We serve students in a technology-driven universe and prepare them for a digital professional life. Our underlying philosophy is that you are ready on your first working day. Ready to work. Noroff has been educating and training digital forensic researchers, film photographers and producers, 3D animators, graphic designers, digital marketers, games designers, system administrators, music producers, among others, for several decades. Our vision is for Noroff graduates to be first movers. The first to develop new methods, the first on location, to be top-ranked in competence and the first to generate new job titles in new markets. None of us know what you will be working with after completing your basic training at Noroff. Job titles are being created on a daily basis by players in the digital arena. Today there is not one profession, hardly a single business that does not need digital specialist expertise. This is why one of our most important tasks is to ensure that our students continue to learn. That we follow them up. That the methods they have used to learn during their time at Noroff provide the skills to learn new things, quickly, accurately and at a high qualitative level. Today, digital restructuring is a just as natural part of our working day as our lunch break. Therefore, we no longer educate for the professional title, but for the professional practice. Our diverse study programmes are under continual development and are always closely scaled up to labour market, and include bachelor’s programmes at Noroff University College and vocational specialisation at Noroff Vocational School. 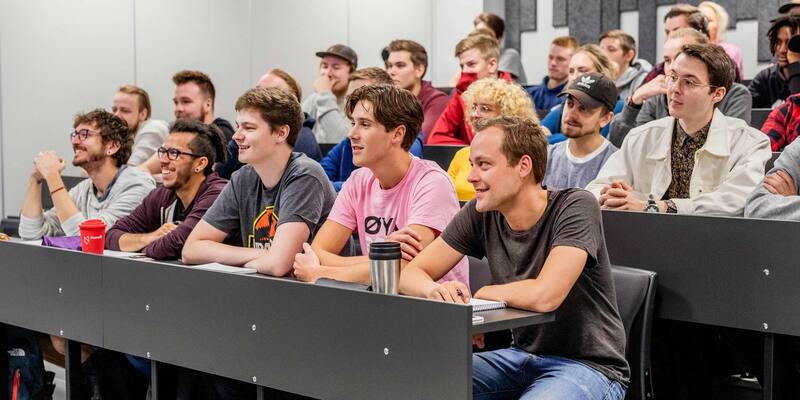 All of the educational programmes at Noroff are accredited by the Norwegian Agency for Quality Assurance in Education (NOKUT) and have been approved for student loans and grants by the Norwegian State Educational Loan Fund (Statens Lånekasse for Utdanning). This collaboration enables Noroff students to build on their two-year vocational school education and receive a bachelor’s degree abroad over the course of a year.